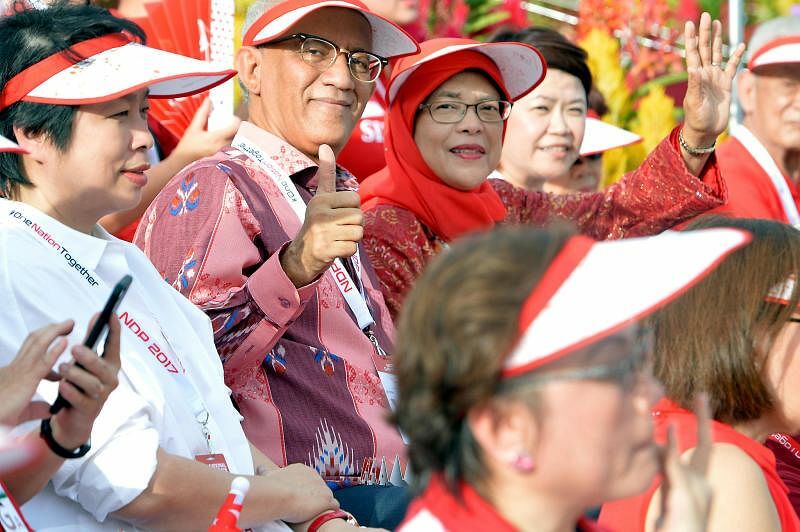 SINGAPORE - Madam Halimah Yacob was issued a Certificate of Eligibility by the Presidential Elections Committee on Monday (Sept 11). The 63-year-old was the only presidential hopeful of three to receive the certificate, meaning the presidential election reserved for candidates from the Malay community is headed for a walkover. The former unionist and Speaker of Parliament is set to be Singapore's first female president. On Wednesday, she will turn up at the People's Association headquarters in King George's Avenue to file her nomination papers. If they are in order, the returning officer will declare her president-elect, and she will start her term on Thursday. Here is a timeline of her career. Aug 23, 1954 - She was born in her family home in Queen Street, the youngest of five children. 1962 - Her father, a watchman, died when she was eight. 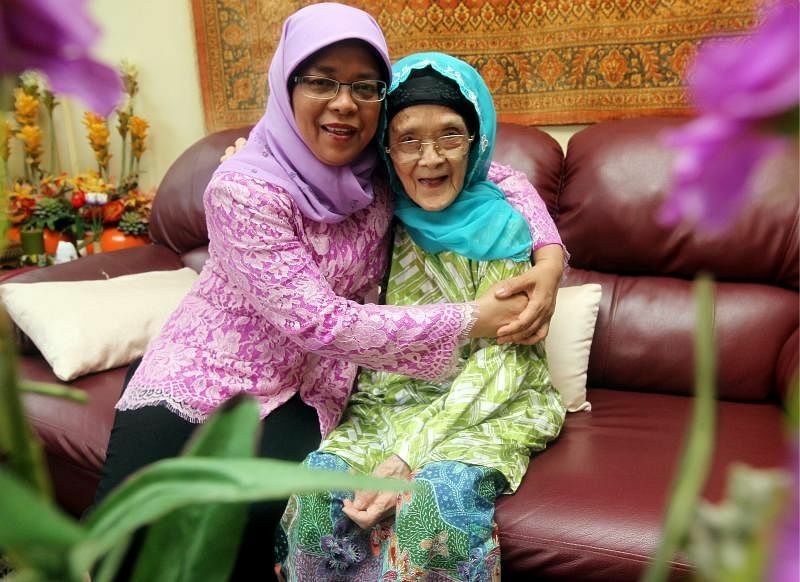 Her mother sold nasi padang from a pushcart plying Shenton Way before getting a hawker stall licence. She helped out at her mother's stall, cleaning, washing, clearing tables and serving customers. Late 1960s - She attended the Singapore Chinese Girls' School, and was one of the few Malay pupils there. 1970s - She later went to Tanjong Katong Girls' School and the University of Singapore where she graduated with a law degree. 1978 - She joined the National Trades Union Congress (NTUC) as a legal officer. She spent more than 30 years there and was eventually appointed deputy secretary-general. Then-NTUC assistant secretary-general Halimah Yacob visiting a needy family in Bukit Panjang in 2007. 1980 - She married her university sweetheart, Mr Mohamed Abdullah Alhabshee, a businessman. They have five children who are now aged 26 to 35. 2001 - She entered politics at the urging of then-prime minister Goh Chok Tong and has contested and won in four general elections since. She contested for seats in Jurong GRC and Marsiling-Yew Tee GRC. 2011 - She became Minister of State at the Ministry of Community Development, Youth and Sport. 2013 - She was appointed Singapore's first female Speaker of Parliament. Sept 11, 2015 - Her mother, aged 90, died on Polling Day of the 2015 General Election. 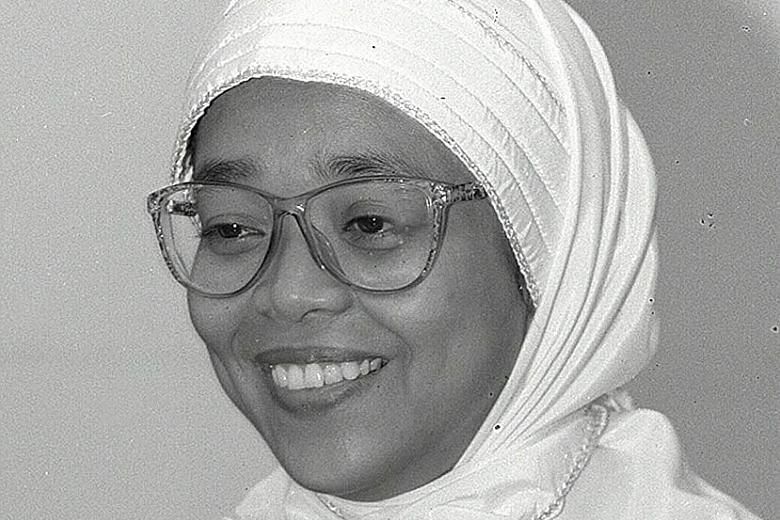 Madam Halimah was very close to her and described it as "the saddest moment of my life". 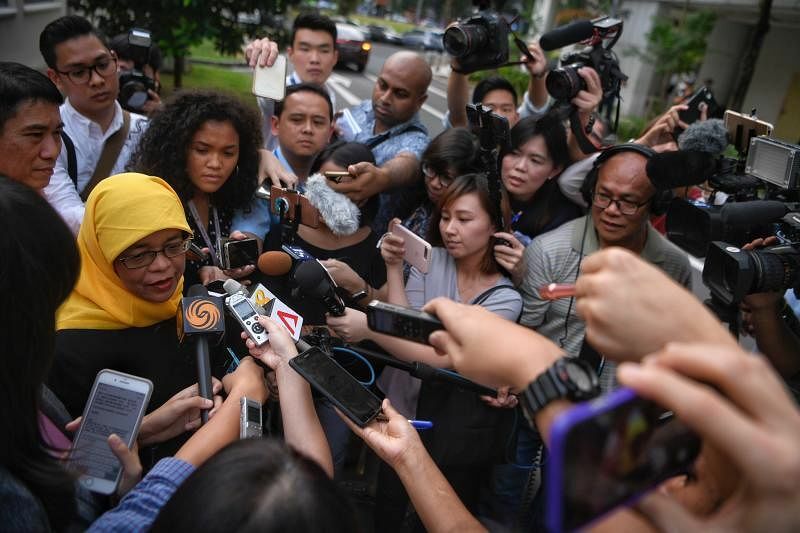 Sept 11, 2017 - She is set to be Singapore's first female President after being the only presidential hopeful to receive a Certificate of Eligibility.